Cyanocobalamin or Vitamin B12 is directly connected to the cognitive health of your dog. Moreover, vitamin B12 in dogs is essential in maintaining optimum motor functions and even helping your pooch enjoy his daily meals. However, for him to reap the benefits of this vitamin, he has to be getting enough of it from his diet. You will be doing your dog a huge favor by switching him to a raw food diet. This way, he will be getting plenty of vitamin B12 from organ meat such as liver, kidneys, and the heart. Moreover, there are enough traces of cyanocobalamin in eggs, yogurt, goat milk, and chicken meat. If your dog loves seafood, he will get loads of vitamin B12 from herring, mackerel, sardines, and clams. Plants also have some significant amount of the mineral cyanocobalamin. Examples include Alfalfa and Brewer’s yeast. 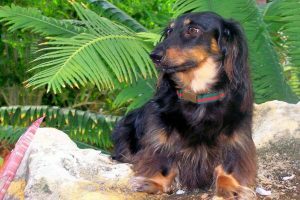 However, if you really want your pooch to gain a lot of vitamin B12 from plants, then get him on a seaweed diet as well. Another great source of the mineral cyanocobalamin is through quality pet supplements. In fact, supplements work best because they contain the right dosage of vitamin B12 required by your dog. Also, supplementing is a good idea if you suspect your dog is not getting enough vitamins and minerals from his food. The major benefit of vitamin B12 in dogs is in promoting a healthy nervous system. This is because vitamin B12 is involved directly in the production of myelin, a protective tissue that coats the nerves in the brain. As the brain controls most of the body’s functions, we can safely say that your dog needs vitamin D for all his physiological functions. Cyanocobalamin is important for maintaining the spinal health of your dog. In addition, this vitamin combines with other minerals to boost cellular metabolism. Another benefit of cyanocobalamin is in the production of red blood cells. With enough red blood cells in his blood, your dog will be able to effectively transfer nutrients and oxygen to all parts of his body. Lastly, enough vitamin B12 in your dog is necessary to prevent diseases such as exocrine pancreatic deficiency or EPI. This disease will impair your dog’s ability to digest food as his pancreas is not producing the required enzymes for food digestion. As a result, your dog may suffer some of the symptoms covered below. The early signs of a Vitamin B12 deficiency are a loss of appetite and severe weight loss. Moreover, your dog will appear lethargic and spend most of his days sleeping. Since most of his food is not getting digested, he will likely pass it out as smelly diarrhea. Cyanocobalamin supplements come in doses of 100 mcg, 250 mcg, and 500 mcg. Also, there are doses of 1000 mcg and 5000 mcg which are ideal for larger animals. How much of vitamin B12 your dog needs will depend on the amounts he has in his blood. The best way to be sure is by having his blood tested at a vet clinic. There are dog breeds that find it hard to effectively absorb cyanocobalamin in their blood. Such breeds include Border Collies, Beagles, and Giant Schnauzers. If you suspect your dog is not absorbing his vitamins efficiently, you have to up his dose of cyanocobalamin supplements to make up for the deficiency. Why Vitamin B6 is important for dogs?